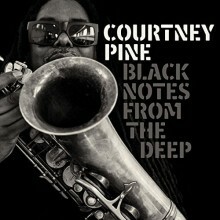 From across the pond comes British jazz musician Courtney Pine’s latest offering, Black Notes From the Deep. Perhaps best known as a founding member of the Jazz Warriors as well as host of the radio show Jazz Crusade on BBC Radio 2, Pine has had a major impact on the U.K. jazz scene over the last thirty years. On his 19th album, the multi-instrumentalist focuses primarily on tenor sax while collaborating with another U.K. legend, neo-soul singer Omar Lye-Fook. Backing musicians include the dream team of Alec Dankworth (son of Cleo Laine) on bass, Robert Mitchell on piano, and Washington, DC native Rod Youngs on percussion. As the needle drifts over the grooves of the opening track, there’s no doubt that pairing Omar with Pine was a brilliant idea. “Rules,” co-written by the two musicians, is a fitting intro the album and offers a glimpse of things to come (see video below for a live performance of the song). Next up is “You Know Who You Are.” This sultry, atmospheric instrumental brings to mind a smoky jazz club in a film noir while showcasing the piano stylings of Mitchell and some tasty tenor solos from Pine. Several members of the group, including Pine, have Jamaican roots, which influenced the instrumental “Rivers of Blood.” The title references the 1968 anti-immigration speech by Enoch Powell, a British member of Parliament, directed primarily at the initial wave of Caribbean immigrants to the U.K. from 1948-1968. Pine’s tenor combines with chords on the lower octaves of the piano to speak the bitter truth of this era, but a ray of hope is offered as the instruments move into the upper registers, building to a forceful conclusion that defies all odds. 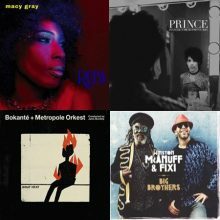 Ushered in on a bass riff quoting Curtis Mayfield, “Darker Than the Blue” is definitely an album highlight, with Omar imploring, “Please tell me why, why oh why, would you want to leave me this way?” while Pine wails on the tenor sax like a lover scorned. 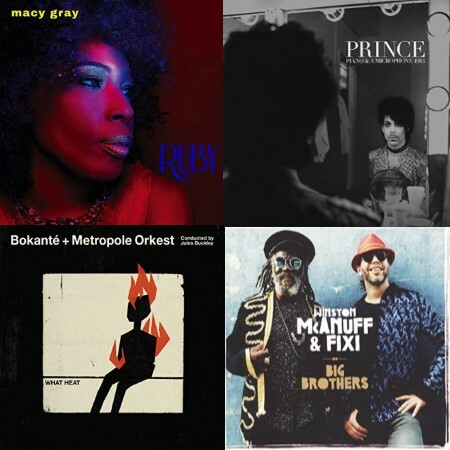 Omar returns for two more tracks, the organ layered “In Another Time” and a new interpretation of Herbie Hancock’s “Butterfly,” the latter featuring Charleen Hamilton on background vocals. On the upbeat instrumental “A Change Is Sure to Come,” Pine finesses the bass flute, proving his versatility while offering the other members of the ensemble an opportunity to solo. The album concludes on “A Word to the Wise,” with Pine plumbing the depths of the tenor to signal a warning call. Black Notes From the Deep indeed plumbs the depth of jazz and soul, adeptly mixing message songs with passionate instrumentals performed with deft expertise by musicians who have spent decades honing their craft.